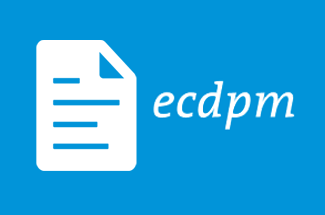 ECDPMPublicationsJoint Evaluation Study of Provision of Technical Assistance Personnel: What Can we Learn from Promising Experiences? Land, T. 2007. Joint Evaluation Study of Provision of Technical Assistance Personnel: What can we learn from promising experiences? (ECDPM Discussion Paper 78). Maastricht: ECDPM. This study was commissioned to contribute to the current discussions on aid effectiveness and capacity development by learning about what works in relation to the deployment of technical-assistance (TA) personnel, and to see what initiatives/reforms are being taken to improve practice. The report draws on the findings of three country studies conducted in Mozambique, Solomon Islands and Vietnam, a workshop held in Maastricht in May 2007, as well as a review of the wider literature, earlier summarised in the study’s inception report. It is important to underline this study’s focus on TA personnel, and to make it clear that this focus is distinguished from a more comprehensive understanding of technical assistance, elsewhere referred to as ‘technical cooperation’. To see all our work in this area, please visit our web page on technical assistance.